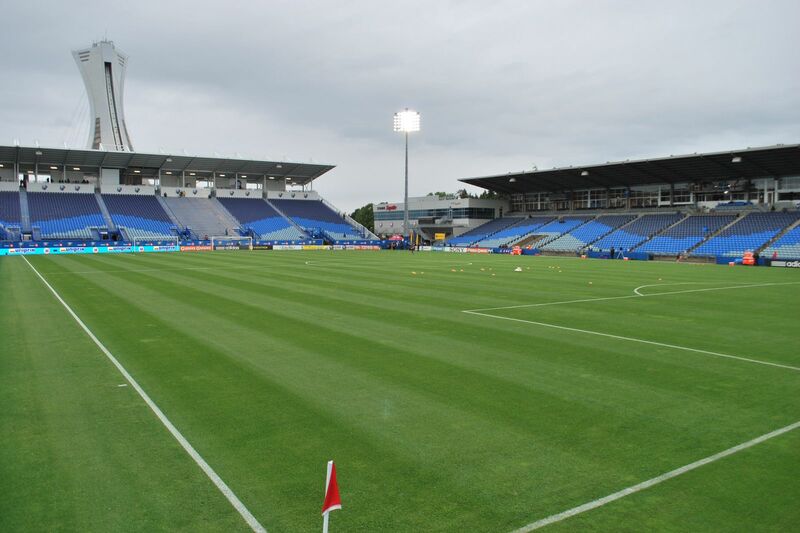 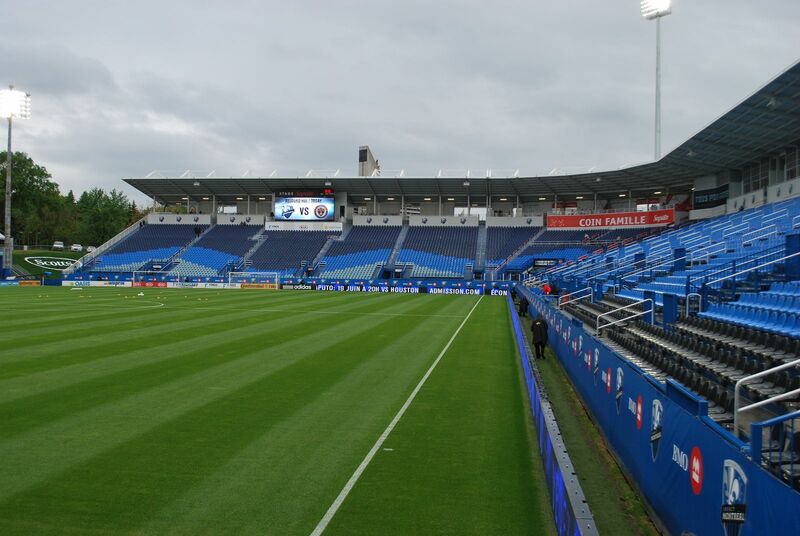 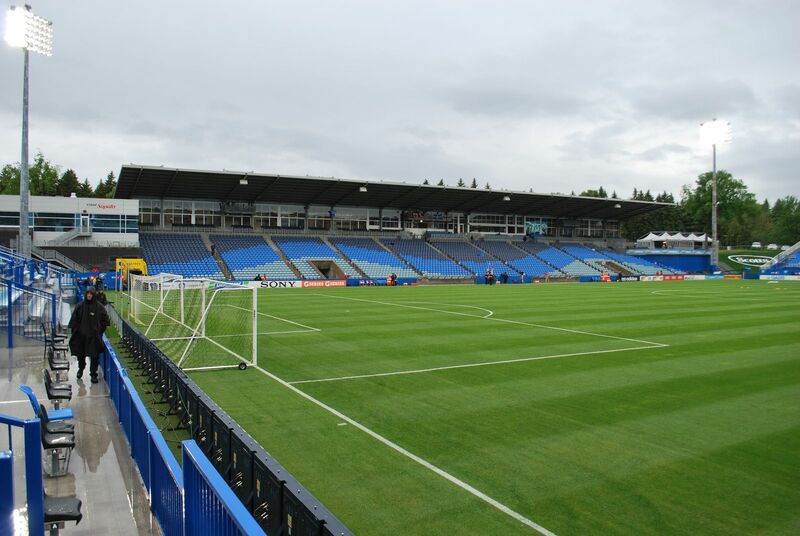 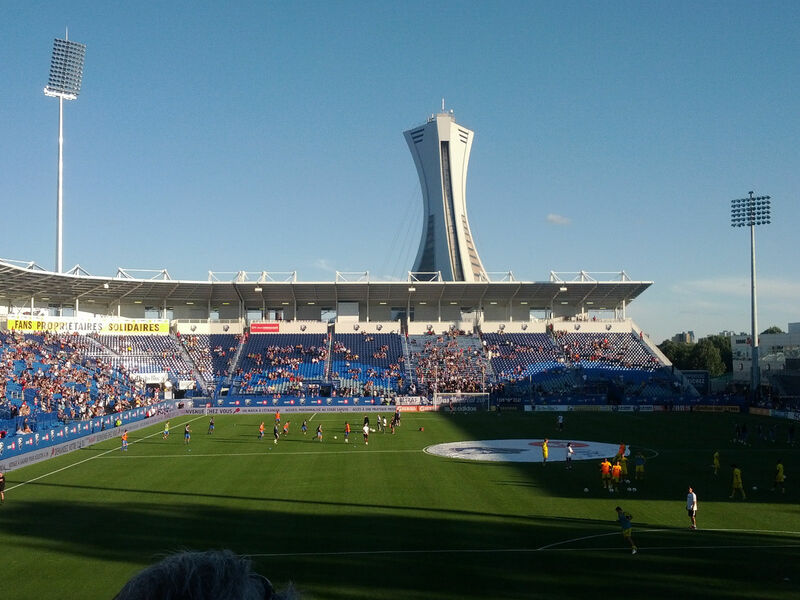 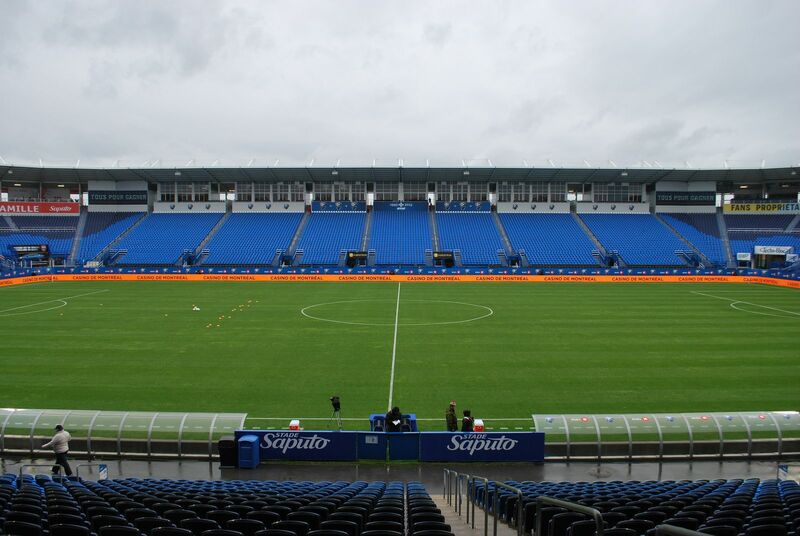 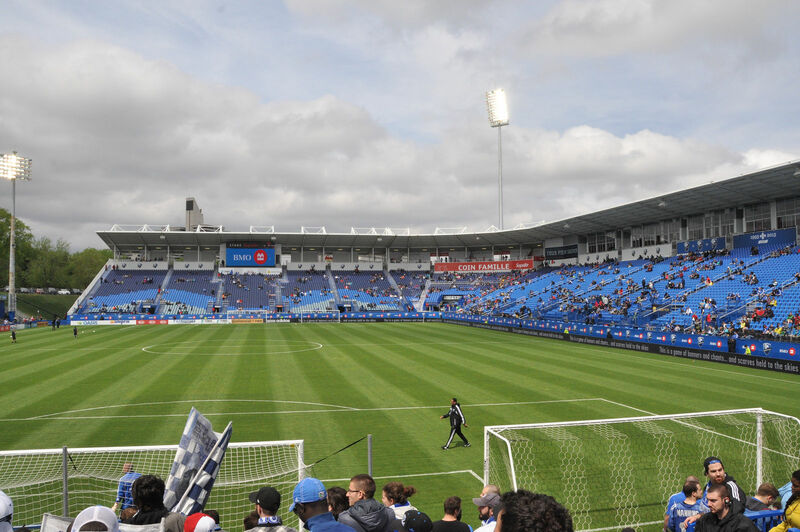 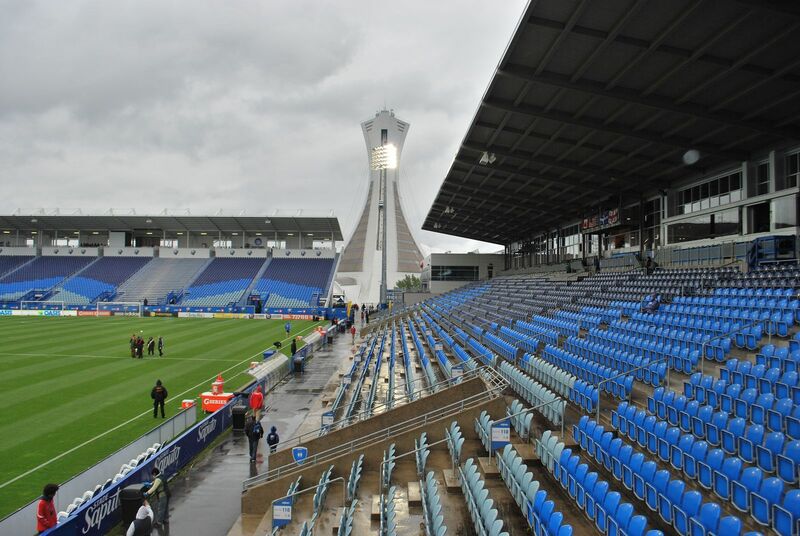 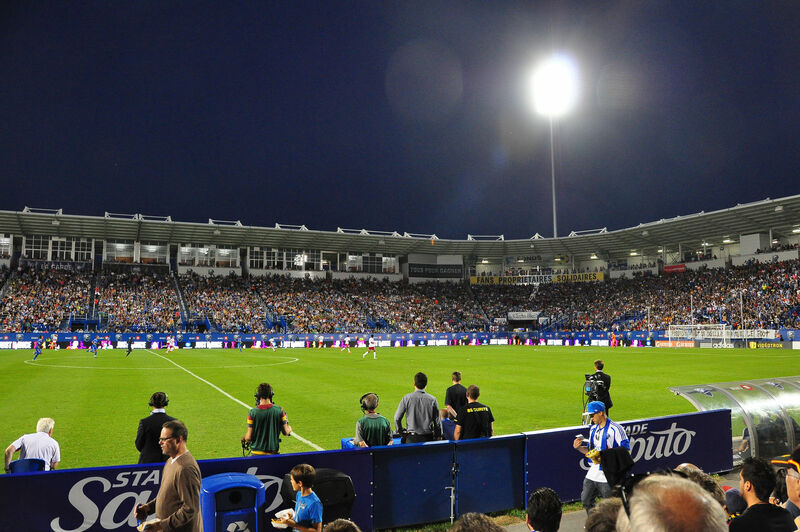 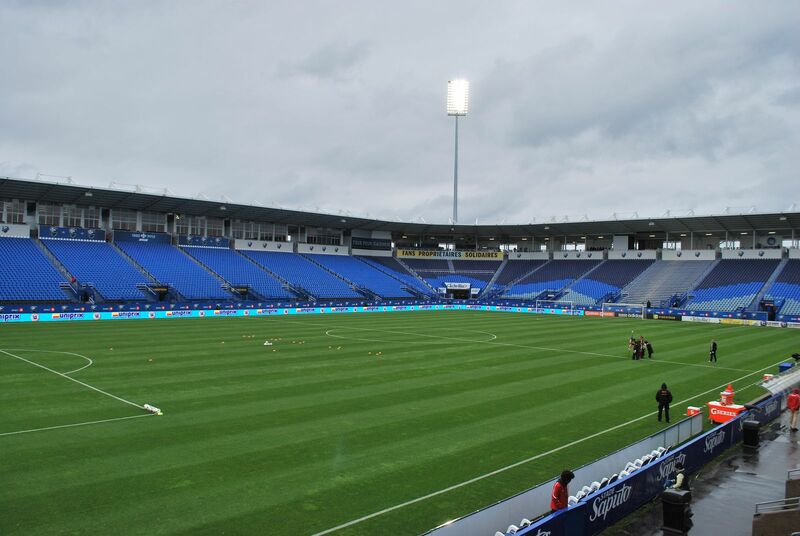 Established in 2008, Montreal Impact FC needed a proper football stadium to play in. 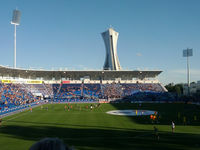 The site chosen to build it was former training stadium of the 1976 Olympics complex, just meters north of the Olympic Stadium. 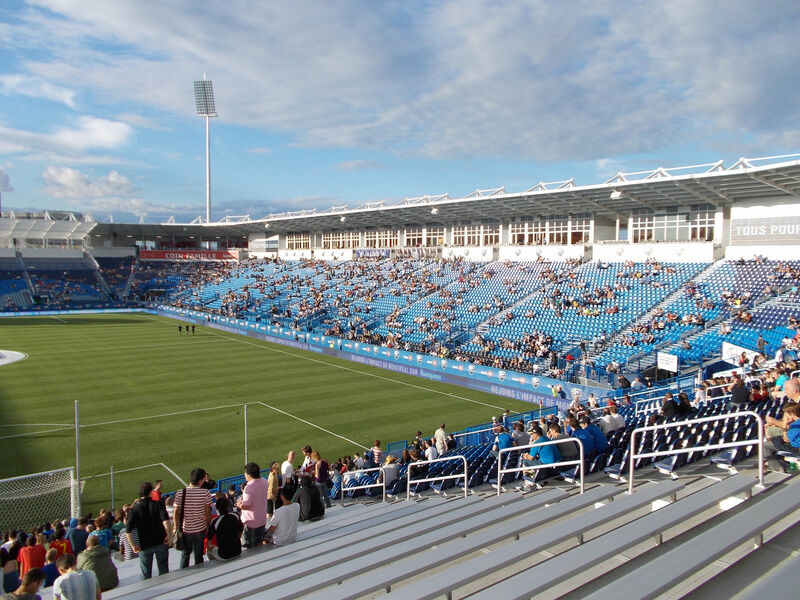 Replacing the athletic venue was a three-stand football-specific stadium that could accommodate 13,034 people. 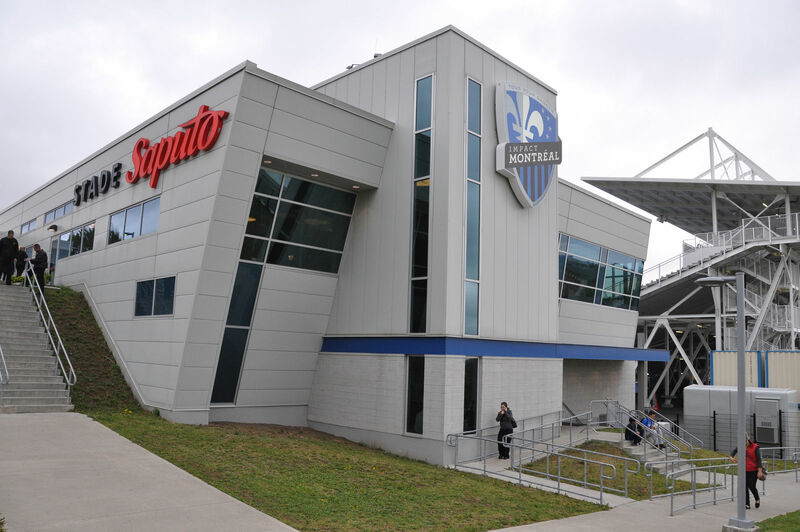 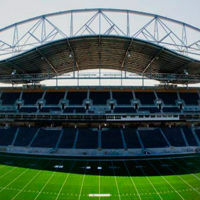 Half of the budget ($17 million) was covered by Saputo family, whose company became the naming rights owner. 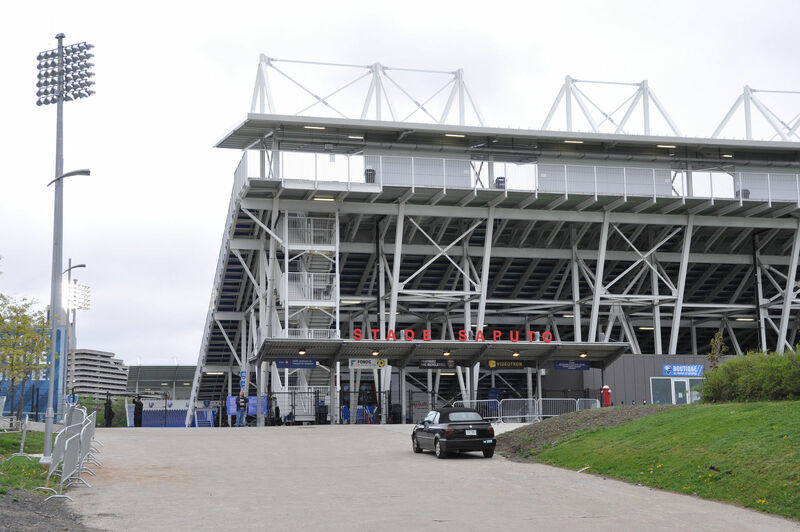 The remainder was collected via various commercial partners. 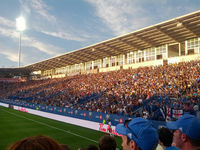 As Impact was planning to go from NASL to MLS, plans of expansion were drawn and implemented in 2011-2012, when the approval of joining North America's top football league was granted. 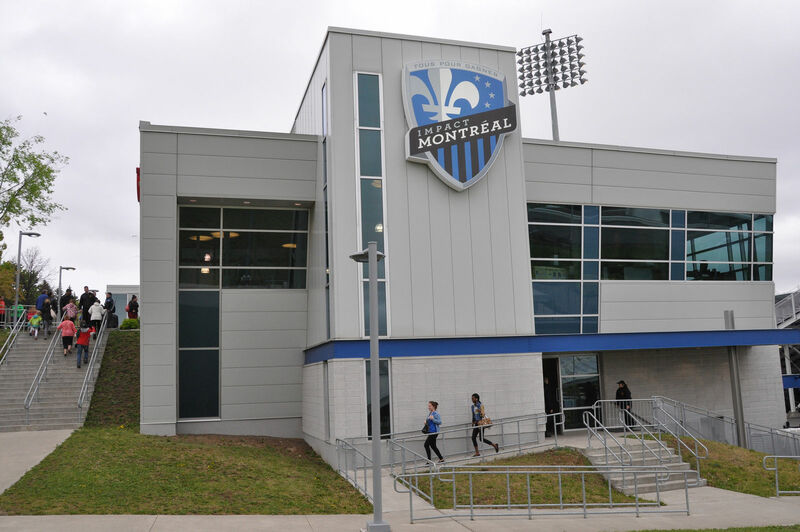 This time it was the Quebec government who financed works. 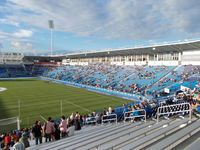 Currently the stadium has an independent main stand with some of the ground's 20 skyboxes, while other sections form the shape of letter 'C', being partially covered. 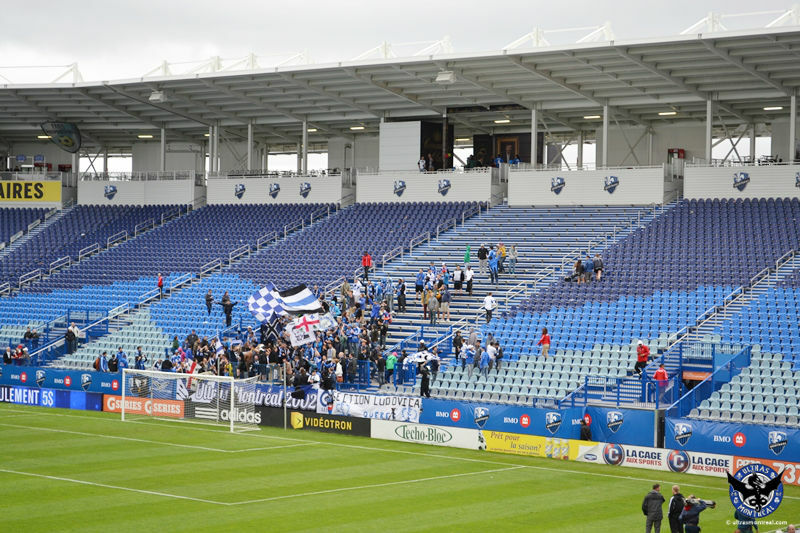 Only stand built from scratch in 2011, the south end, hosts local ultras at two standing sections. 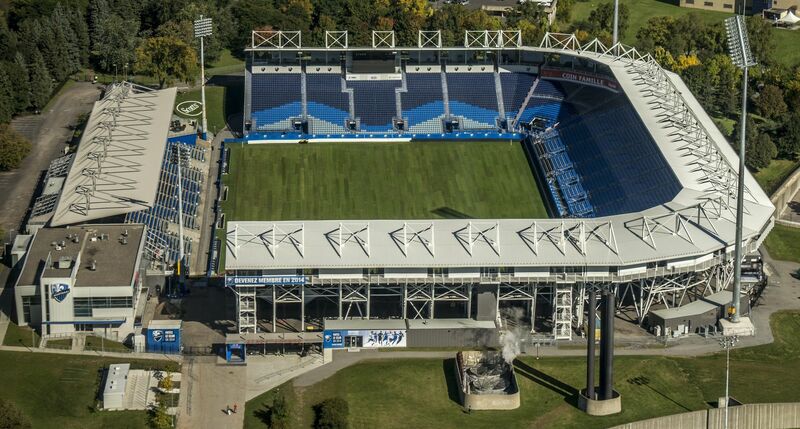 One of them has been just opened yesterday and awaits American football use. 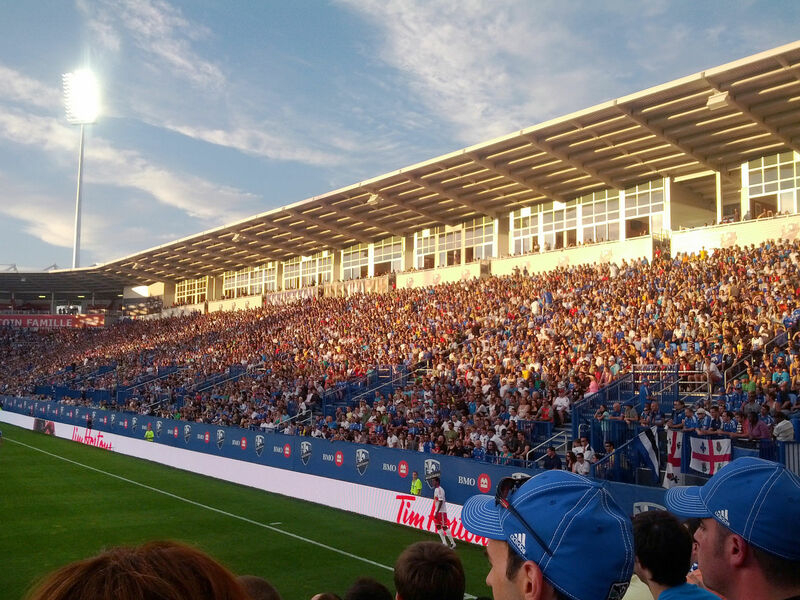 The other hosts mostly football (soccer) games and has been expanded less than a year back. 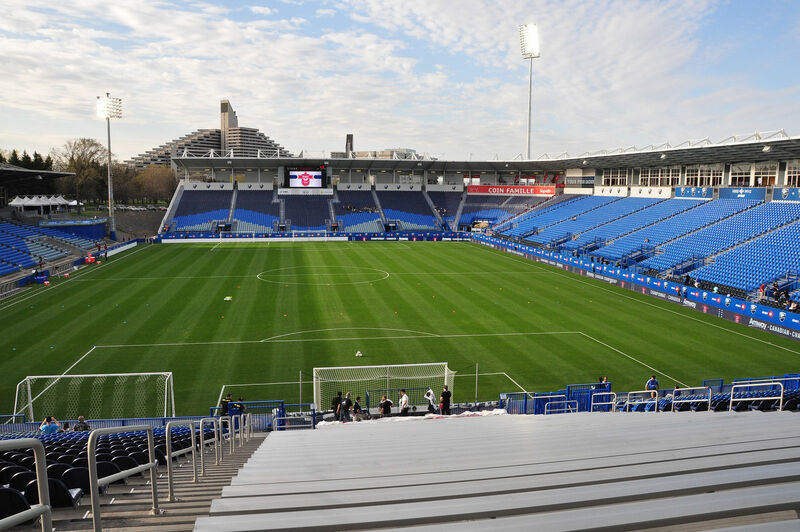 Both deserve your attention, for sure!